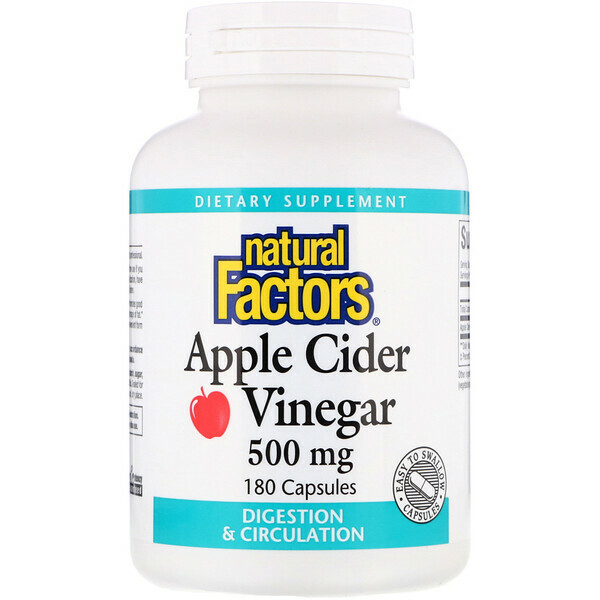 Apple Cider Vinegar offers a wide variety of health-promoting benefits. 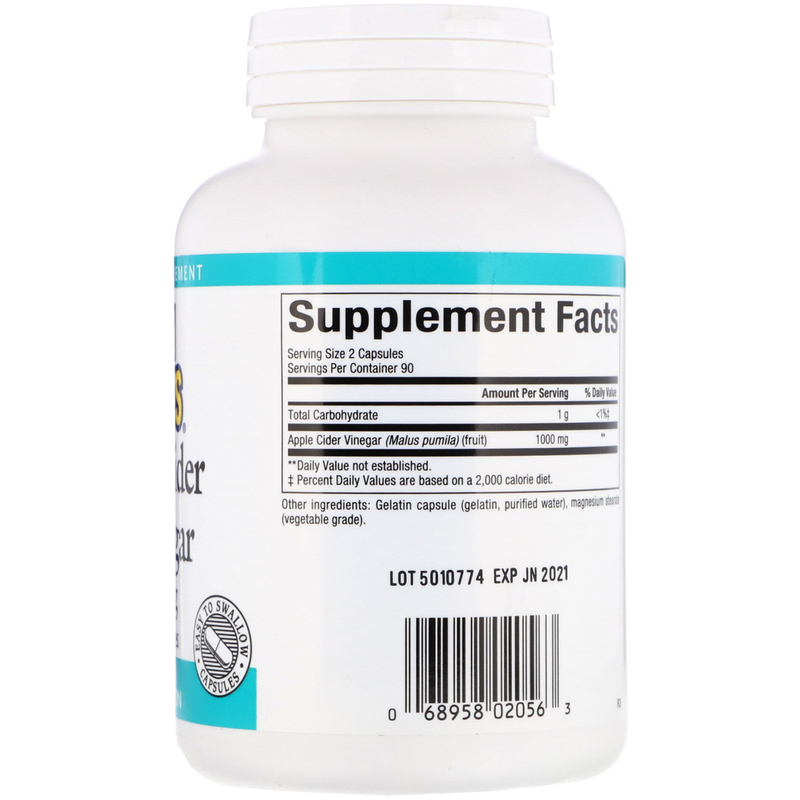 Promotes good blood circulation, helps improve digestion, and helps lower the body's storage of fat. Optimize your health well-being by taking Apple Cider Vinegar in the convenient form of a capsule. Contains no artificial colors, preservatives, or sweeteners; no dairy, starch, sugar, wheat, gluten, yeast, soy, egg, fish, shellfish, salt, tree nuts, or GMOs.